For the last four months I’ve been working with the most inspiring group of women that I have ever worked with. 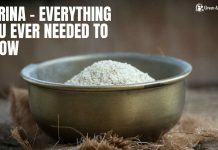 Women determined to be healthier and to make changes in their life to lose the weight the no longer wanted to lug around. They had #Cinchspiration goals and whether it was to fit into a dress size, run a marathon, look good for a class reunion or to beat an illness or disease, these women have been inspiring, motivational and courageous. I say courageous because to reveal yourself publicly and show people what you look like behind the clothing, what the scale actually reads and what size pants you really wear – we’ll it is very scary. I know, I’ve done it and even though it keeps you honest, the online support is overwhelming when it is your body, your photo and your name…hitting publish is freighting and takes the courage of 20 women! Each story, each woman and their struggle and their individual goals are powerful and unique but there is always a common thread. A gut wrenching, deep down inside will to feel better, look better and be healthier for themselves and their families! It brings tears to my eyes that I’ve had the privilege of supporting, cheering these women on and helping to introduce them to Shaklee Cinch. If you’re a nay sayer or if you’re unsure that a program is the answer for you take a minute a read these stories and ask these ladies first hand. 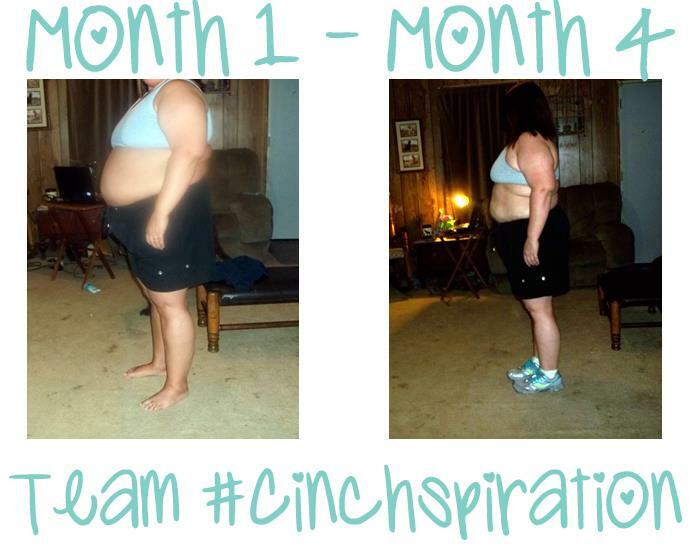 I promise you’ll be moved and inspired to ask yourself what your Cinchspiration goal is. There are so many great stories to celebrate and I’m proud of each woman on the program but here are just a few stories that might inspire you. Heidi has come a long ways in four months and is down 36 pounds! What an amazing accomplishment and you can read her story and see more of her story here. Month 4 marks inches lost and 14 pounds out the window and you can read Anitra’s story here. Karen’s goal was to fit into her size 8 pants and guess what she is dancing her pants off! She’s hit her goal and she’s 26.2 pounds lighter! Read her story here. Maribel is shrinking too and down 20 pounds and with all the water she’s drinking he skin is glowing! Read her story here. Follow all of their tips, stories and links on Twitter using the #cinchspiration hashtag and if you’re ready to make a change join us with you own #Cinchspiration goal. Learn more about how to get started here. Disclaimer: I am a full-time consultant for the Shaklee Corporation working on social media and blogger relations. This is my own personal story, I was never asked to use the products or write about the products. Results not typical. In a preliminary clinical study of the Cinch Inch Loss Plan, Participants on average lost 15.4 pounds and 6.6 inches over 12 weeks. These women are awesome and the support you offer is top notch Sommer! I have tried many diet plans and Cinch has truly changed my life! I feel so blessed to have been given this opportunity of a lifetime and I want to thank you for all that you have done to help me achieve my weight loss goals and help me live a happier and healthier life. Thanks Sommer! Thank you Mandee! I am so proud of all the women, including you. I agree the products are amazing, the program works and I’m so glad I can support you. Let me know if you need anything. Thanks Monique! Yes, I agree very inspiring.